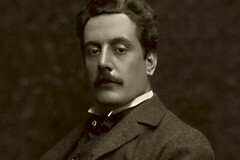 Italian dramatist Luigi Illica (1857–1919) wrote librettos for a number of important operas around the turn of the 20th century. He worked with Puccini on the texts of Manon Lescaut, La bohème, Tosca and Madama Butterfly and wrote librettos for many other operas, including Catalani’s La Wally and Giordano’s Andrea Chénier. Illica was born near Piacenza and ran away to sea as a young man. In 1879 he settled in Milan, working as a journalist; during this period he lost part of his right ear in a duel. He began creating theatre works in 1875, and his first libretto – for Antonio Smareglia’s Il vassallo di Szigeth – dates from 1889. 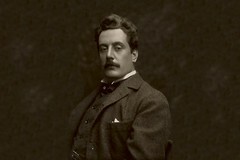 In 1892 Illica and Giuseppe Giacosa became the final two librettists to work on Puccini’s Manon Lescaut, bringing the text to completion after its long gestation. 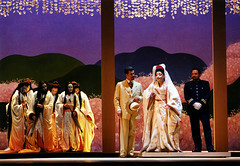 Illica and Giacosa also collaborated on La bohème, Tosca and Madama Butterfly, with Giacosa versifying Illica’s drafted scenarios. Illica worked independently on more than thirty further librettos, including a number by Giordano and Mascagni. Though Giacosa’s death in 1906 brought an end to Illica’s most fertile period of collaboration with Puccini, Illica worked on Maria Antonietta, ultimately never set by Puccini, until he enlisted for military service in 1915 at the age of 58.